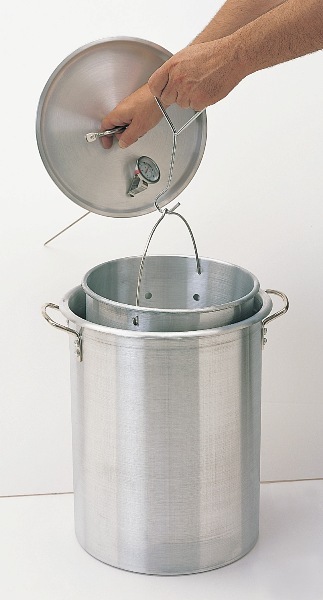 26 Quart aluminum pot includes basket and deep fry thermometer. Great for deep frying turkeys on your new power burner. The easy lift inner basket has a convenient handle. Thermometer also comes with a probe to assure proper oil temperature. Great as a crab pot as well.